The Lighthouse announces Buddy Grants for summer 2019 study away courses. Sign up with a friend, and each of you will receive a $300 grant for the course. Details and the application are located on The Lighthouse's portal page. Information and applications are available on The Lighthouse’s Portal Page. 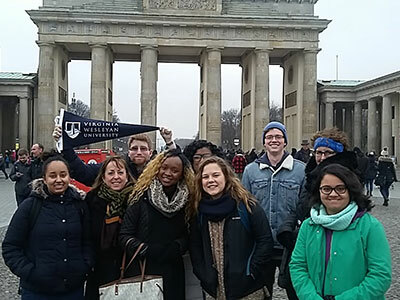 History 262 students at the Brandenburg Gate in Berlin, Germany, 5 January 2018. 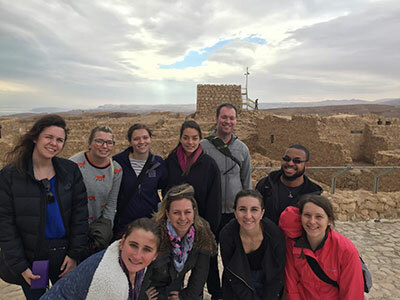 Religious Studies 361 students at the Masada National Park in Israel, January 2018.